Albo, as he’s known by family, friends, colleagues and even the media, can laugh at himself (that’s no doubt one reason why The Project likes having him on board for appearances) but if you really boil it down, the Federal Member for Grayndler and the Shadow Minister for Transport & Infrastructure is known as a People’s Pollie because he is so passionate about the projects that are affecting Australians and their often remote communities on a daily basis. If the rumour mills have any truth in them, 2019 is bound to be a big year for Albo, with some people even saying he could be the next PM. He’s also worked closely with teams on the swimming pool at Mildura, and the impressive new tourism facilities on Kangaroo Island. 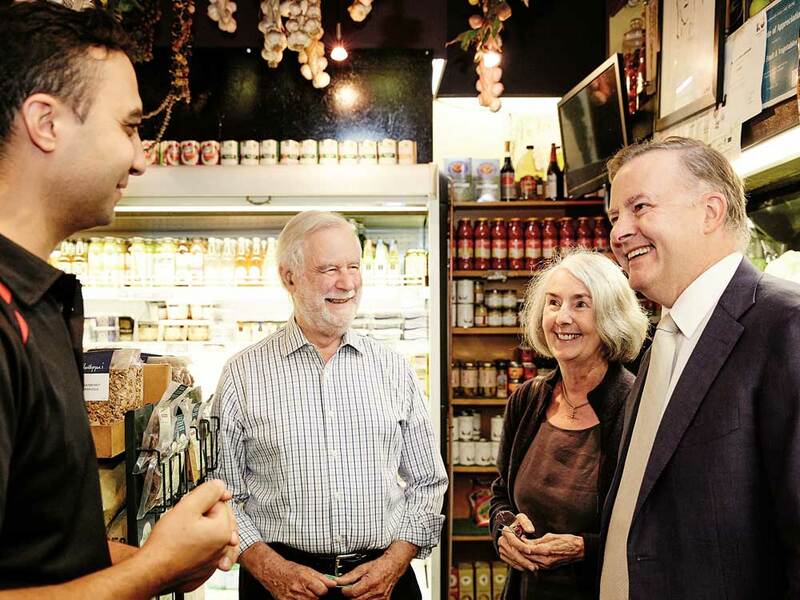 Regarding issues on a global scale, Albanese is just as passionate as he is vocal about climate change. Many people don’t know that Albanese grew up in a small family, with just himself and and an invalid mother on the pension. So it comes as no surprise to learn that he understands what it is like to struggle.